Last month, we told you about Mavis Wong and Chin Kang Tan, also known as Team Dragon, who wowed the judges at Comptel Hackathon 2015 with their innovative mobile retail app. Congratulations are once again in order for Team Dragon, as they took second place and a cash prize in the Next Gen eCommerce track at Ultrahack this month. Ultrahack is a 48-hour hackathon that rewards prizes worth up to 130,000 euros to the best innovations and offers expert coaching and support from developers at some of the world’s leading companies. It’s one of many hackathons that occur in the weeks leading up to Slush, the biggest startup conference in Europe. Team Dragon first qualified for Ultrahack by winning Comptel Hackathon 2015, where they were rewarded with a first-place prize that included a full two-day pass to Slush. Team Dragon’s app, called Match & Snap, brings the power of the Internet of Things to the retail shopping experience. The IoT-based technology immediately recognizes Match & Snap app users once they enter a store. Users then receive targeted content to improve their shopping experience, whether it’s suggestions on what to wear or information on in-store sales and bargains. There’s even a social component, so Match & Snap users can share their new outfits with friends and ask for their input. Comptel is once again proud to offer aspiring developers – including Mavis and Chin Kang – an opportunity to share their inventiveness, creativity and intelligence with the world at major events like Nexterday North and Slush. We’re also thrilled that Team Dragon follows in the footsteps of other Comptel representatives at recent hackathons. Rami Al-Isawi, a software engineer at Comptel, participated in this year’s Junction hackathon, another side event to Slush. He managed to win awards in two categories: The “Most Destructive Hack” and “Most Useless Hack” tracks. Congratulations to Rami, Team Dragon, and all other participants in this year’s Comptel, Ultrahack and Junction hackathons. We look forward to seeing the innovations that these bright minds bring to the table next year! 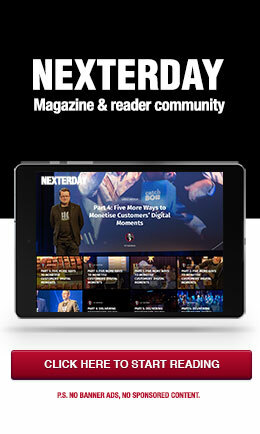 Read more about Nexterday North or click to learn about Comptel’s latest mobile data innovation FWD. This November will be an exciting and energising month for the worlds of tech and telecommunications. Two major events, Comptel’s inaugural Nexterday North and Slush 2015, will descend on Helsinki, with the city welcoming thousands of tech leaders, entrepreneurs and big thinkers from around the world. It promises to be a full week of fresh ideas, big announcements and new visions for the future. Just two days before Slush, Comptel will bring together the brightest minds in the digital and communications industry from 9 to 10 November with Nexterday North, which aims to take a fresh, bold look at the challenges and opportunities for traditional operators and emerging players and digital ecosystems. Nexterday North will focus on three areas: Think Ahead, where we examine other industries to identify the industry’s collective blindspot, Think Again, where we re-evaluate industry learnings to challenge the status quo, and Think Beyond, where we’ll draw on the startup environment at Slush to find ways to think bigger and better about telco. The event will also include Geekland, an invite-only Comptel user group that will share cutting-edge live demos, industry blueprint showcases and more. If you want to see what the future holds for your digital and communications services business, you need to be at Nexterday North. You can register for Nexterday North at this link, and keep in mind that registering for a Nexterday Front pass will also grant you a Slush Conference Pass. Slush is the leading European technology and startup event, organized in Helsinki and taking place from 11 to 12 November 12. The next world-conquering companies come to Slush to meet with venture capitalists, launch new products and share their technology breakthroughs with the global tech community. The Slush program features a number of industries, including healthcare, education, clean tech, future enterprises and e-commerce. Speakers include the founders and leaders of tech unicorns such as Skype, King, Klarna and Supercell. The result is a palpable environment, with startups hoping to attract venture capital, media attention and technology partners, whereas investors come to look for the next billion-dollar company. For digital and communications services providers, Slush is a great venue to learn about the emerging technologies that will continue to influence the behaviour of our generation. Slush is also a unique platform to identify business opportunities and connect more closely with digitally savvy consumers and businesses. The run up to Slush and Nexterday North also includes a number of 48-hour hackathons, including Ultrahack in which the Comptel team is participating from 6-8 November. Hackathons present a great chance for developers to refine their software with expert coaching on-site or build new innovations from scratch in a matter of hours. It all adds up to what will be an exciting week in Helsinki. Visiting digital and communications service providers will be on the ground floor, where big ideas, concepts and partnerships are developed. You’ll learn about the technologies that are changing the world, the strategies that could change your business and the trends that are defining Generation Cloud. 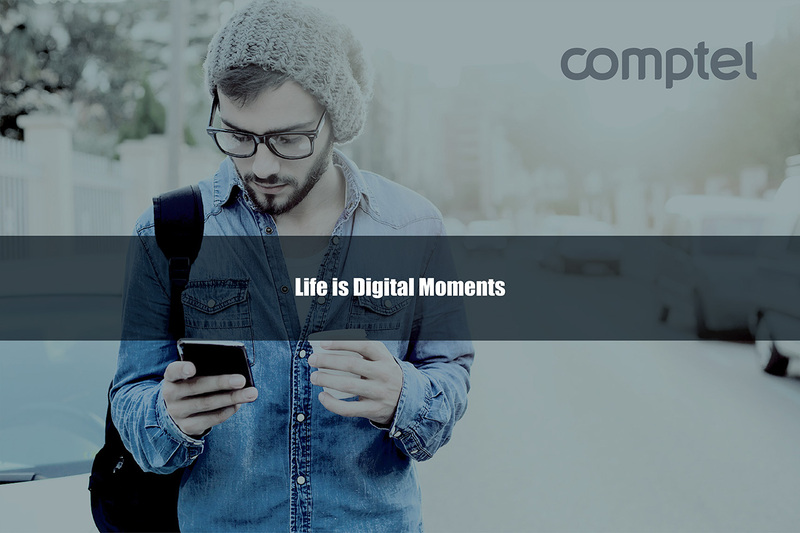 The Comptel team is looking forward to an incredible series of events. We hope to see you in Helsinki. Register now to reserve your spot at Nexterday North, and receive a conference pass to Slush 2015.